World of Tanks straddles the definition of MMO. It's massive, and multiplayer, but instead of a persistent world, it consists of battlefields and scenarios you spawn into. And you play... a tank. Or, rather, many tanks, as you upgrade your skills, unlock new vehicles, and customize them with increasingly advanced technology and weaponry, from the earliest World War I clunkers to the modern war machines. World of Tanks has many things to recommend it...and tanks. To enjoy this game, you'd better like tanks. The graphics, sound effects, and "feel" of the tanks was good; they are sluggish and powerful. 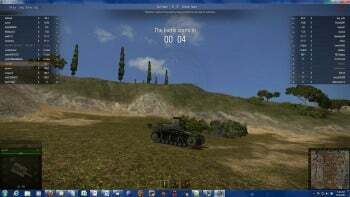 While the World of Tanks gameplay is aim-and-shoot, it requires more precision and less twitching, which is not to say I was very good at it. World of Tanks is free, but vendor Wargaming.net runs a premium shop that allows purchase of superior weapons and gear. The community is, well, what you'd expect from a game highly focused on tournament-style competitive play. Don't expect any handholding. Note: The Download button takes you to the vendor's site, where you can download the software.